The video starts off with how to use the Auto-Retopology tool and then finishes with a full hands on project on a rhinoceros model/mesh that needs to be retopologized and exported to Lightwave 3D. 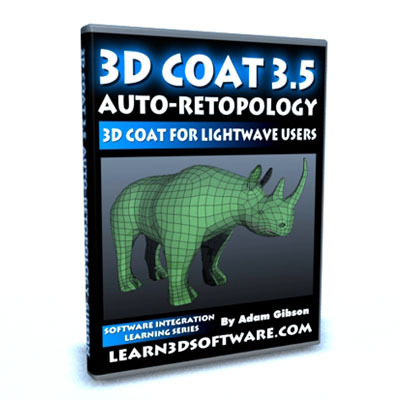 In this volume on the new Autoretopology tool in 3D Coat 3.5 basic and advanced uses of the Auto-Retopology tool are demonstrated in great depth. Although this video series uses Lightwave 3D as the final output for your 3D Coat work, the concepts and principles used here will work with all the most popular 3D programs like 3D Max, Maya, Softimage, Modo, Cinema 4D and many others.